Billericay has been home to some remarkable people. Sixty years ago the late Ivor Rosaire of Circus fame (1911-2005), settled in Coxes Farm Road. Already the farm was well-known as the winter quarters of the Rosaire Circus which, before World War II, had been world famous. Some of the town’s tradesmen – including our postman – Jack Bartlett, remembers hearing the roar of animals as he came past the farm. “I also came face to face with a friendly bear one morning when delivering,” he recalled. The friendly Rosaire circus folk invariably started their touring year by putting on a special Easter performance on Sun Corner. Ivor’s niece, Joan Rosaire, was famous in her own right both in the circus world as a child circus star and later a respected horse-trainer and performer in London’s West End, has recorded her memoirs for the BBC, recalling the times when she topped the bill in London’s West End theatres with her famous horse Goldie. Salt and Sauce came to Billericay in 1936 when Cissy Rosaire and Wally Shufflebottom married at St Mary Magdelen Church in the High Street. 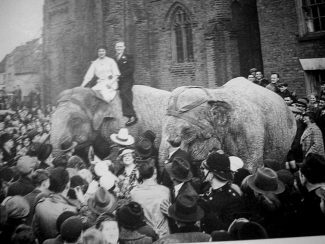 The elephants played bridesmaid by carrying the bride and groom from the church and were photographed by the world-famous Pathe News. A year later Salt and Sauce appeared in the film ‘Elephant Boy’. They were very famous in their time. Jamie has written about Joan’s beautiful mother, Zena, who performed on the high wire, her grandfather, ‘Count’ Fred Rosaire and other talented members of the circus, all familiar to their Billericay neighbours. “Ivor was the best showman of Rosaire’s Circus,” said Jamie. 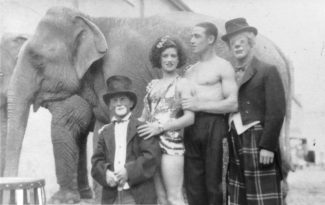 Joan Rosaire’s life story in the circus has been recorded by the BBC and it is hopeful that she will write her autobiography. In the meantime, we will have excerpts from her interviews at a later date. 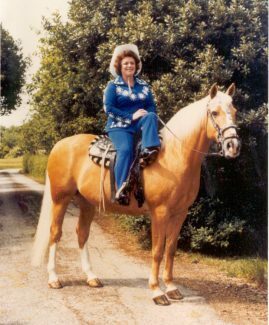 Really happy summer memories of Joan and Goldie and being taught to ride! Ivor joined Chipperfields as Elephant Superintendent responsible for a herd of 20 elephants originally trained by Wenzal Kossmeyer. He then joined Sir Roberts Fossett’s Circus responsible for a group of 5 animals. While he was at Fossett’s he appeared on the TV show “Double your Money” being questioned on mental arithmetic. He took one of his animals in the sound proof booth. Whilst at Fossett’s he appeared with Bertram Mills Olympia Christmas Circus on a number of occasions. 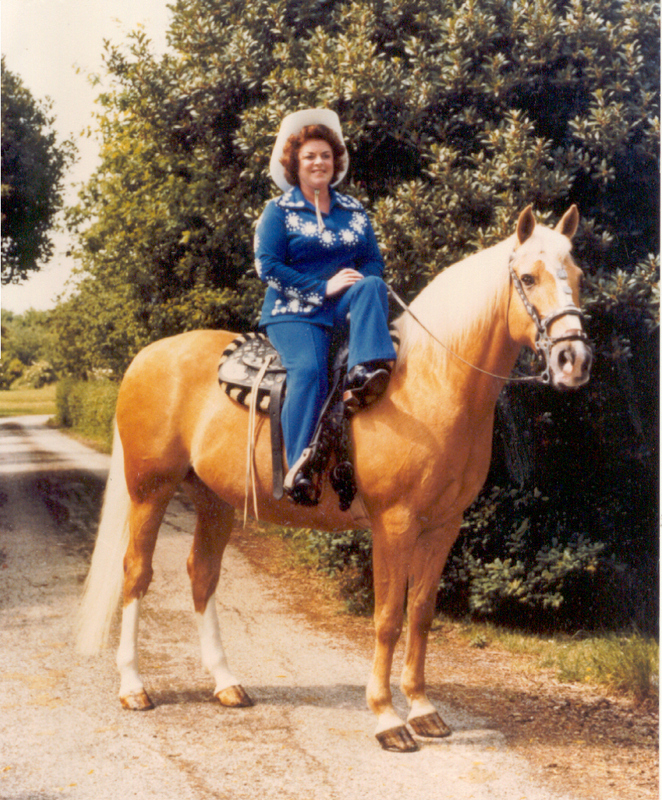 I remember Joan, she also taught my sister (Patsy Potter) and Mother (Doris) to ride. 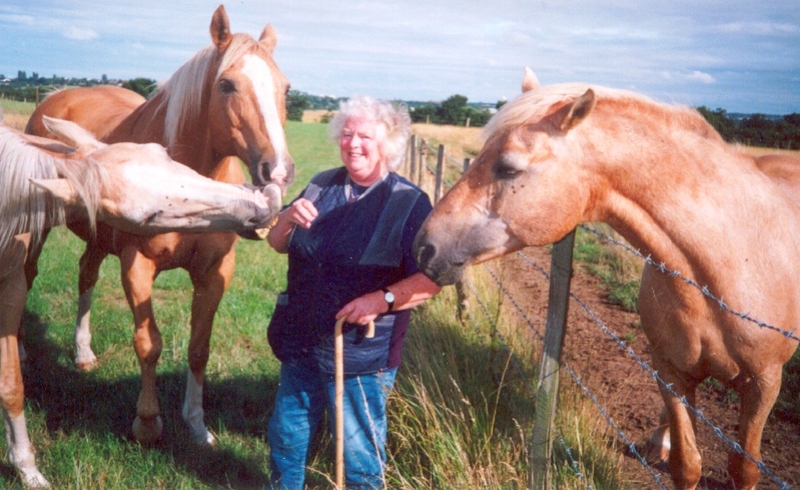 I also remember Goldie having a foal. No one knew she was expecting and were most surprised and called it Goldie’s Boy. As a child during WW2, I lived in Billericay Police Station which was across the road at Sun Corner from the field upon which the Circus used to perform. There were garages at the rear with an outside tap and they used to bring the elephants over and hose them down and scrub them with a yard broom. As a small child this was fascinating and the circus is something I will never forget. My grandfather (Bill Hutchins) owned the nursery next to the winter quarters in Coxes Farm Road. I remember Joan well and used to cut her front grass as a boy to earn extra pocket money. My family were also connected to the winter quarters as my Father’s (Clive Kean) side were circus people who used to stay there. My parents met this way. Wonderful memories from Willoughby Farm Riding School seeing all the animals from the circus who came for the winter. Watching the performers practising on the trapeze. 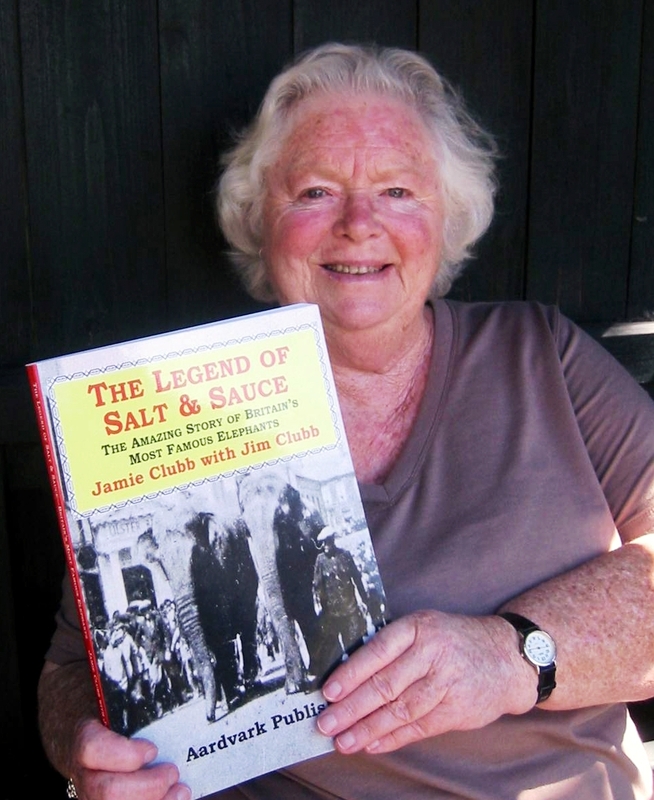 I think I was so lucky to have been a part of it will always remember Joan Rosaire she was my hero! 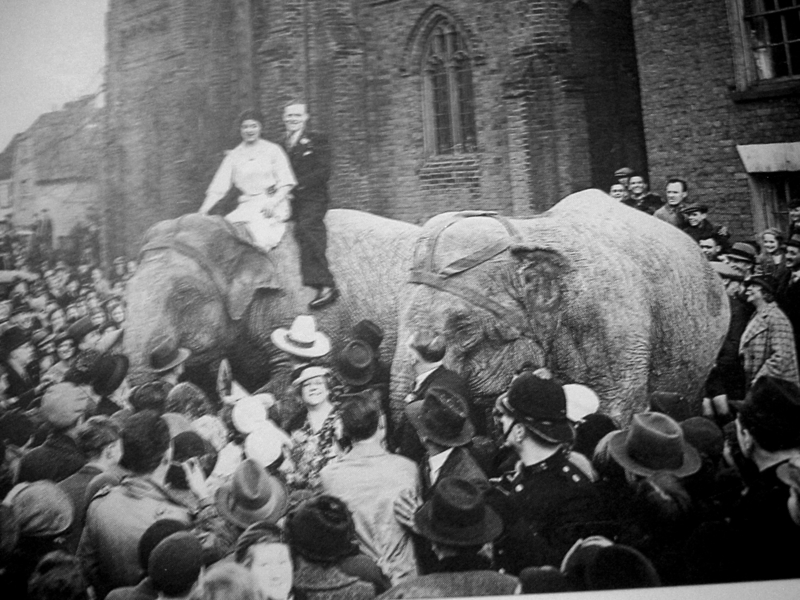 I was at school with Carmen and Paul Rosaire in the 50’s…..and reading the sad news of Carmen’s dreadful accident, and on a lighter note photos of Paul when he got married with the Elephants there.